Strathclyde Police have appointed Kommando the award winning experiential agency behind recent government nomadiX campaigns, including “Pablo, the Drug Mule Dog” and “Know Your Limits” to target trouble spots for Gang Culture in the city of Glasgow as part of Strathclyde Police’s latest campaign to “Break the circle of violence”. Throughout March, a series of street level campaigns devised by Kommando will target youths aged between 13 and 19. Kommando nomadiX street projectors will be used in conjunction with proximity enabled portable Bluetooth devices, targeting mobile handsets in some of Glasgow’s troublesome Gang Culture areas. Street teams will project a video showcase of hard hitting knife crime images and news headlines whilst communicating via Bluetooth to youths in the street the consequences of Gang Violence with the message “Gang Violence... There’s a price to pay... you have a choice”. 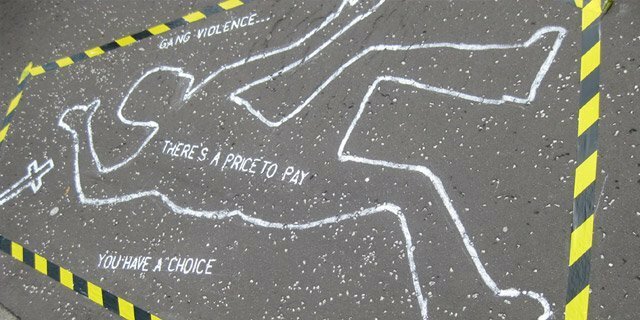 This activity follows on from successful Guerrilla marketing involving the chalked outline of a dead body with a knife close by and the contact number for the local Crimestoppers helpline. Appearing in knife culture hotspots across the city the viral chatter amongst communities affected by gang culture and knife crime and subsequent press attention was huge, with coverage in the local/national newspapers, the television and through radio. 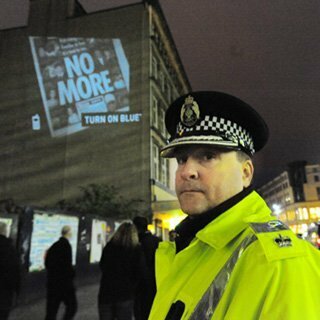 Assistant Chief Constable, Campbell Corrigan for Strathclyde Police said “ We’re delighted to be working with Kommando in this unique way to heighten awareness about the issues surrounding gang violence. There are over 170 gangs operating across the Force area and the majority of their members are aged between 13 and 19 years of age. Too many young lives are being lost or ruined by gang violence." 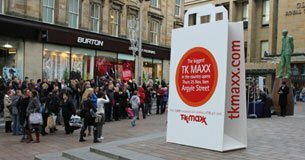 Kommando have created an experiential campaign for TK Maxx to launch their latest flagship superstore. 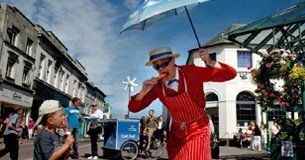 To launch their new TV channel, TNT placed a large red push button on a quiet square in a Belgium town. 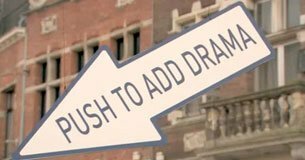 Next to the button was an invitation: "Push to add drama." Human experience drives progression. Experience is the basis of human existence and, as such, is an incredibly powerful marketing tool.